The Dadri incident and subsequent developments have yet again raised some disturbing questions on the role of Main Stream Media (MSM), described as the fourth estate and the flag-bearers of truth. Despite the fact that their credibility has eroded in the last few years because of the numerous scandals that some of the eminent scribes have found themselves in, there are still many who look upon them hoping against hope that they will change. But all that we saw in the days of Dadri were shrill headlines, which according to many tarnished India’s image internationally and could even have led to a communal strife. So, did the media really play mischief with facts post Dadri? What better way to understand than to scrutinise one of the stories that were pushed amidst the chaos. So here we take a closer look at the story of BJP MP Sangeet Som and the meat factory. It all started with this tweet by leading New Delhi-based newspaper Hindustan Times. “#BeefBan votary Sangeet Som is director of meat processing unit’’. While Gupta waited for an answer, Ankit Lal, the Social Media head of Aam Aadmi Party came up with this. “Hope this form 32 will clarify”. But Gupta was quick to question Lal’s `findings’. “It does clarify -> that he resigned from the directorship in 2008. 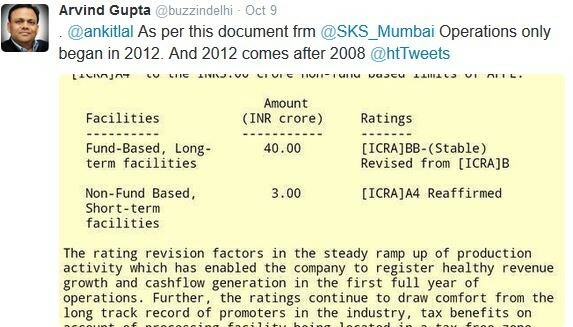 There is a change in address, ownership since 2008’’, he tweeted. Gupta was in all probability referring to the last part of the form 32 – tweeted by Lal. It reads as follows. But Lal was in no mood to give up. “Yes. 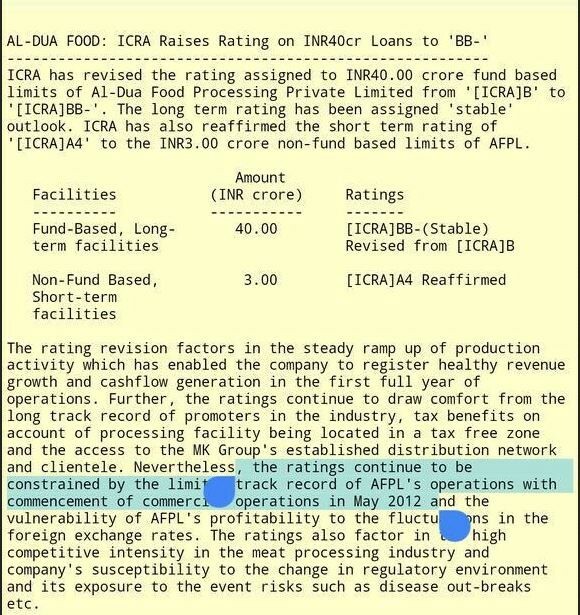 At the same time it also proves that he was director of the beef-producing company Al-Dua till 2008,’’ he retorted. Here is a more detailed view of the document. And phew, that ended the war of words. The damage, however, had already been done. Modi-bashers retweeted the story and shared it on Facebook in frenzy. But then we can’t blame it all on those social media users alone, can we? The mischief seems to have come from none other than newspaper which filed the report. How? Read the story again. It says In short, Som, according to information that HT provides, was associated with the project from 2005 till March 2008. So what really is the mischief here? The problem is that the news story doesn’t say (for whatsoever reason) anything at all about Som’s political affiliation during the period from December 2005 when he reportedly bought the property or in March 2008 when he resigned as Director of Al-Dua. Maybe he didn’t have any political affiliations at all then. So let’s not risk making any wild guesses either. But hey, look what a simple Google search threw up – a report dated June 30, 2008, by the same reporter (S Raju whose byline appears in the meat factory story) and in the same newspaper (Hindustan Times). 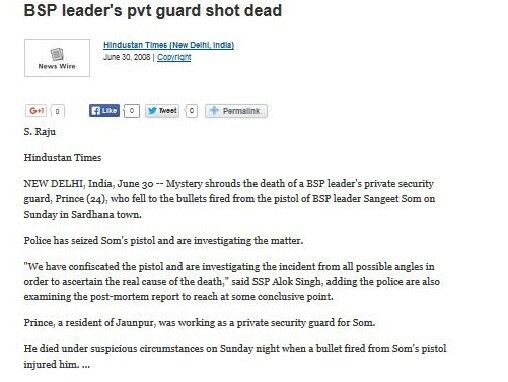 Is the Sangeet Som mentioned in this story dated June 30, 2008, and BJP MLA Sangeet Som one and the same person? I cannot vouch for it. So I request HT to clarify that. But if yes, then it means he was a leader of the Bahujan Samaj Party (BSP) in June 2008, i.e. even three months after he had resigned as director of Al-Dua. Surprisingly, no other report available online, except this one in the Indian Express, gives any hint of Som’s political affiliations before he joined BJP. According to this, BSP announced his name for Sardhana Assembly seat in 2007 but did not field him. The report also says he “joined the BJP and Left in 2009’’ and “rejoined the party in December 2011. Would it have served the cause of objective journalism more had those reporters on the ground given us that little additional piece of information about Som’s political affiliation during the period 2005-2008? But they didn’t. Why? I rest my case. The object of this exercise was not to draw any conclusions or impute motives or malign reputations, but only to bring some new facts to light. As for interpretations and drawing conclusions, that’s up to the readers.